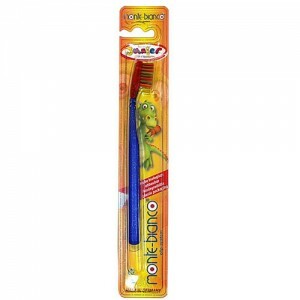 Toothbrushes are usually made from plastic (and therefore oil), so even though they are only small, they still contribute to plastic waste and land fill. 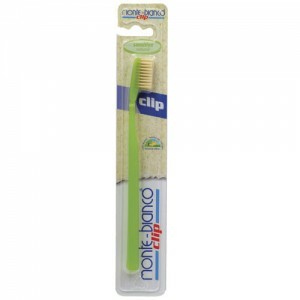 Monte Bianco makes eco friendly toothbrushes to help reduce the amount of plastic you throw away. You buy one toothbrush with a reusable handle and then you just need to replace the head every 3 months. 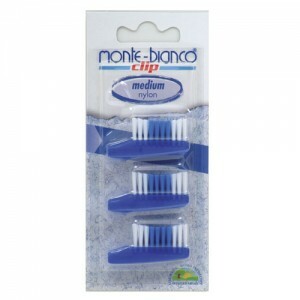 Monte Bianco toothbrushes are a great idea to help reduce waste and cheaper than your usual toothbrush. 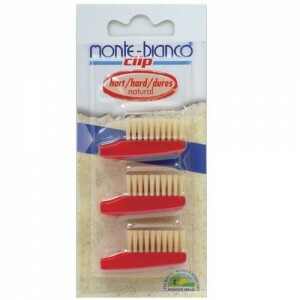 Monte Bianco Toothbrushes are made in Germany. They will save you money because each replacement head will be cheaper than your usual brush. They help reduce your impact on the environment as you throw away less plastic. They are available in natural bristle (non vegan) or nylon bristle (vegan) and the heads fit securely and don’t come off while you’re cleaning your teeth! 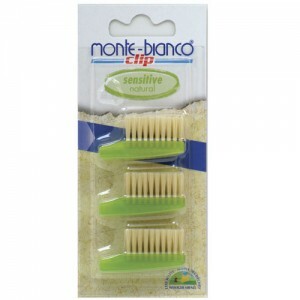 You might be interested to know that the bristles in the natural bristle brush are boar hair. The animal is not hurt in the process; it is shorn like a sheep. 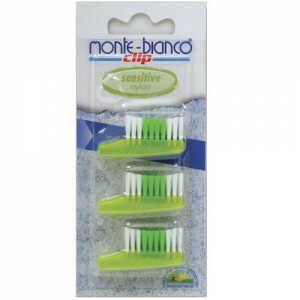 We love the fact that Monte Bianco have thought of such a simple and cost effective way for all of us to take a tiny step towards reducing out impact on the planet. Everyone! 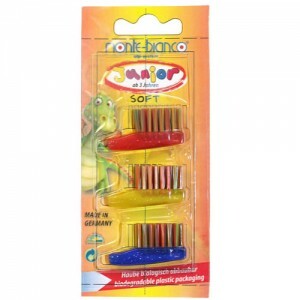 There is an excellent choice of bristles on offer, so whether you have sensitive gums and tend to choose a softer brush, or you prefer a tough set of harder bristles, you’ll find a toothbrush to suit.